From the very first days after we are awarded your Private Pilot's license, many pilots devote their flying "careers" to one thing, the search for food that you can fly to. 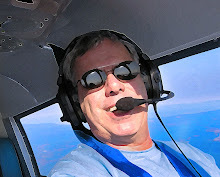 We all own airplanes, or fly rentals, for various reasons. In my case, it is a little business mixed with a fair amount of personal fun. I adore the performance of Katy, the family Cherokee 235, which allows me to carry four adults, 84 gallons of fuel and 200 pounds of cargo and blast off in search of good times. That can be a trip to the Oregon coast, or a hop over the gorgeous Cascade Range to Sunriver for bike and horseback riding. It can be a jaunt up to the San Juan Islands for Halibut, or California for opera. We can also take Katy for impromptu business meetings throughout the West. But the one constant is that at the other end of that flight plan is always a meal, and somehow, that meal often ends up a burger, a very expensive burger worth every penny that it took to get it in front of my pie hole. 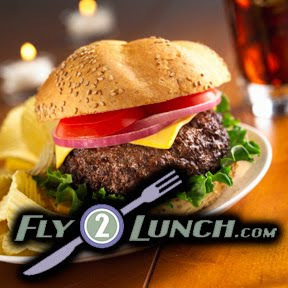 The first one I discovered is Fly2Lunch.com, from developer Bryan Duke, aka @GrouchoDuke on Twitter. This is a simple concept that works flawlessly. Duke built the site to do one thing, and to it well...search an unbelievably large database and deliver to the user a list of eateries on or very near almost any airport. I tested the roughly two-year-old site and discovered a number of airport restaurants in Oregon that I didn't know existed. The data is delivered fast and accurately, and as a programmer, Duke has made sure mobile users get a great experience as the site downsizes itself to deliver the same great info to your phone. With reviews, hours and contact info for most restaurants, you will easily find any $100 hamburgers lurking near an patch near you. I can go to the Cowboy Dinner Tree in Silver Lake, OR that still serves-up the beans and bread like the Old West, along with a slab of beef that most cowboys would only dream of. I didn't know that the Gold Beach Municipal Airport in Gold Beach, OR is located at the beach at the mouth of the beautiful Rogue River, one of the most scenic airports to fly into in Oregon. I found out that The Pinehurst Inn in Ashland, OR has a $99 Fly-in special along with a "snuggly bed and yummy breakfast." Transportation from the Ashland Airport can be arranged. The Ocean Inn in Manzanita, OR offers pick-up at the scenic Nehalem Bay State Airport right on the coast, and is a gateway to five miles of sand stretching from the Nehalem River Neah-Kah-Nie Mountain. And for a HUGE chicken fried steak, walk a couple of blocks off the north end of the Pacific City Airport runway to Village Restaurant Bakery in Pacific City, OR. Uh, and check the runway before going wheels down as during the winter, the site warns that storm surges and high tides can close the runway. World of Flying's Fact Checking team is off for holiday break, so I didn't verify that any of these listings or specials on either site are still current – that's your job as a flight planner. As airport restaurants and hotel specials come and go, it is always advisable to make some phone calls before you launch to lunch. And when you do point your bird towards the next $100 hamburger, I suggest you try and find someone who has never been in a GA airplane. After introducing them to the panel and giving them a ride to poke holes in the sky, I can almost guarantee that fancy, schmancy airport burger will be on them. Because a PIC should never have to buy his own burger. That, my flying friends, is the passenger's sole purpose of coming with you on this quest.